Kolkata, Feb 11 (IBNS): The U.S. Consulate Kolkata, in collaboration with U.S. based non-profit ‘Transformational Sports’ and Katradi, (an initiative of Wind Dancers trust (India), organized a five-day residential leadership workshop titled 'Bridging the Gaps: Social Action Lab' at the American Center here. The workshop, which began on Thursday, was organised for 33 young participants from eastern and northeastern India, to build a network of committed and passionate change makers, to foster gender equality. 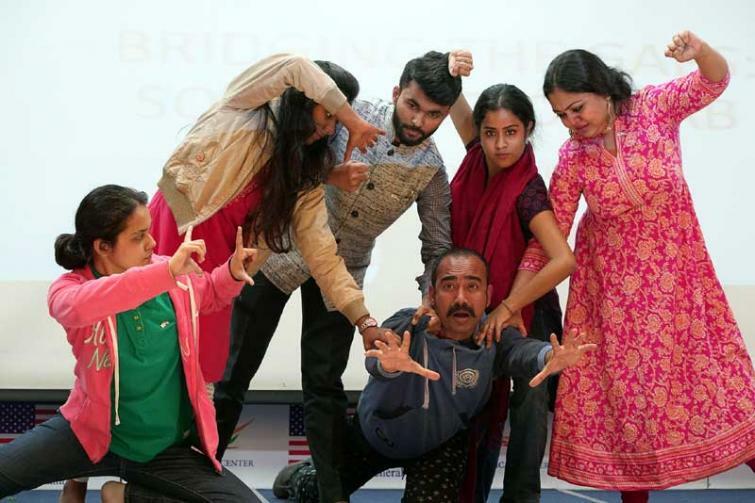 The project, funded by the U.S. Department of State, used the combination of art and sport -- Indian classical dance, theater and Ultimate Frisbee -- to catalyze innovative projects that address gender equality. The project that used #challengegender hashtag, also aims to combat gender-based violence and human trafficking and promote entrepreneurism. Eight young leaders from U.S. State Department’s exchange programs alumni cohort were selected to join as mentors for the project. The participants were divided into eight groups and paired with one mentor. Each group was tasked with designing a sustainable project that addresses gender issues in their community. At the end of the workshop, the participants pitched in ideas for $5,000 in seed funding, of which a total of five to seven projects will be selected for implementation by U.S. Consulate Kolkata, in coordination with Transformational Sports. Projects were evaluated on the basis of strength of the gender component to the project, importance of the target audience, innovative project design, implementation strategy, and empathy quotient. Based on the evaluation, final list of selected mini-grants receiving awards will be announced. U.S. Consul General Patti Hoffman commented, “The United States and India, as enduring global partners in the 21st Century, are committed to nurturing the new generation of leaders to address the issues that affect us all.